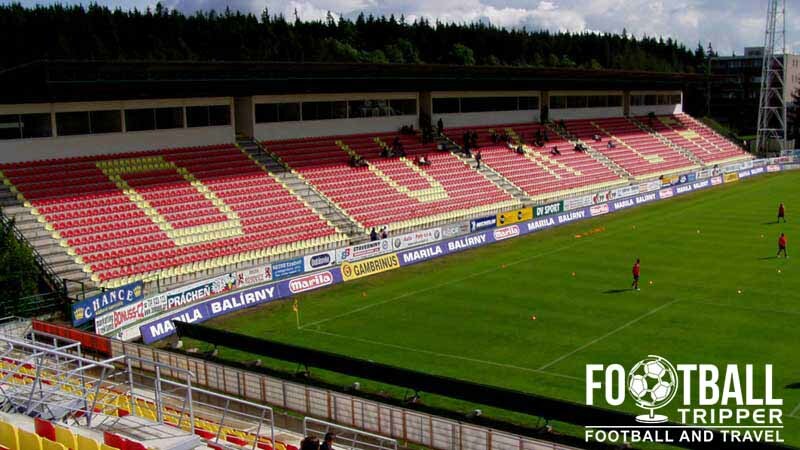 Na Litavce is a purpose built stadium located in the Central Bohemian Region city of Příbram. First opened in 1955, the 9,100 capacity ground last underwent major renovations back in 1978-1980 and is currently home to historically successful 1. FK Příbram. Stadion Na Litavce first opened in time for the start of the new season on September 11th 1955, and coincided with a remarkable turnaround in the team’s fortunes. Then known as Baník Příbram, the club ascended through the various tiers of Czech football going from the regional league to the third division in 13 years. 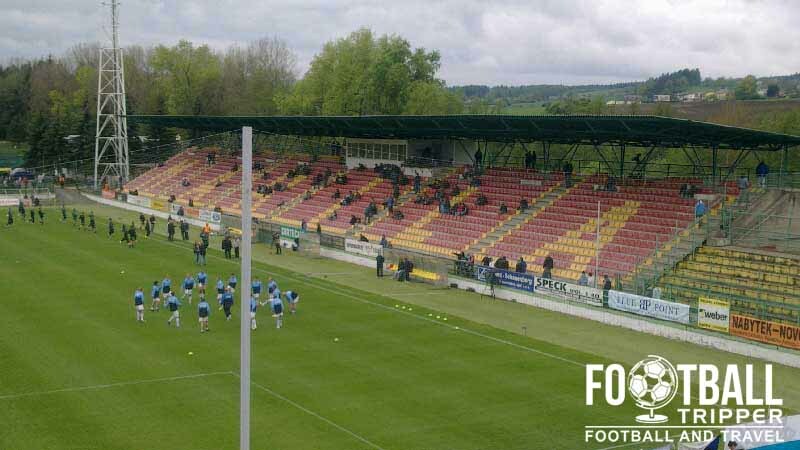 When Baník Příbram reached the second division in 1974, it gave the club the platform to reinvest in their stadium, and it underwent large scale reconstruction giving Na Litavce by and large, the form and appearance that we know today. Partially funded by the sponsorship of Uranium Mines Company, a new 11,000 capacity stadium was constructed over a two year period between 1978 and 1980. As well the construction of two large grandstands around the sides the pitch, the stadium became the heart of a wider residential and commercial hub with the creation of flats and a hotel. 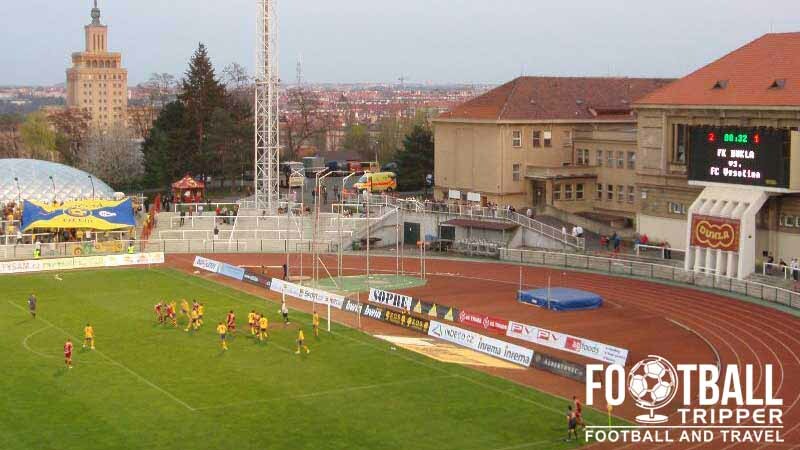 When FC Příbram merged with Dukla Prague in 1996, the newly formed club temporarily moved to Stadion Juliska for a year before moving back the following season. The relocation brought with it additional funding, and the eastern stand became fully roofed, and a new stand was constructed behind the vacant goal-end. Built to modern specifications, the stadium became all-seated and equipped with state of the art floodlights. The name of the stadium Na Litavce comes from the Litavka river which flows adjacent to the west stand. Whilst providing a beautiful back-drop, the location next to a flooding has ’caused some problems over the years. 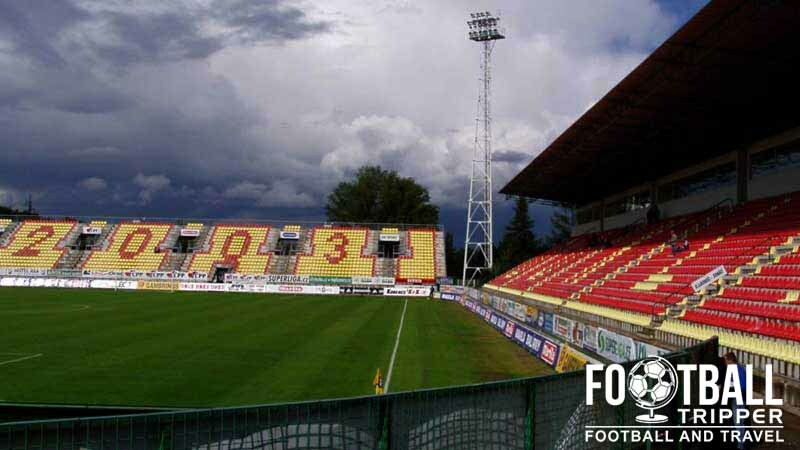 The 2002 the Euripean Floods in August saw an match at the beginning of the season against Slavia Prague postponed. Stadion Na Litavce is comprised of four stands: North, East, South and West.